Yes, yes, another post about owls, but jeepers these little fellows are so cute it would be wrong not to have them in the Monday Menagerie. 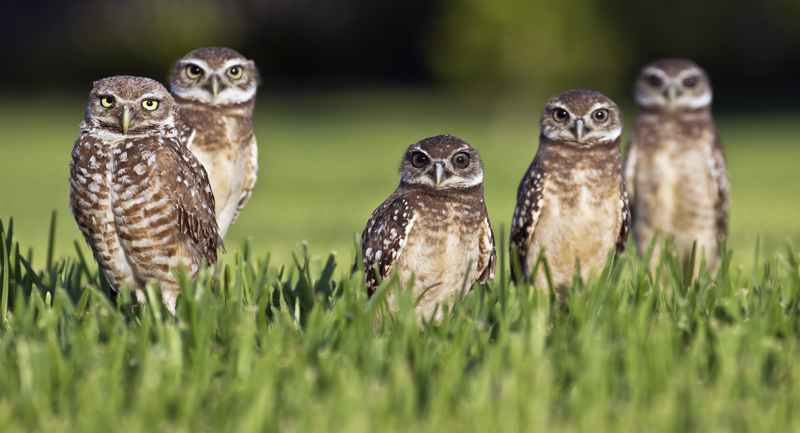 Burrowing Owls are tiny, long-legged, humongous-eyed birds that nest and roost in – wait for it – burrows. They are found throughout the open landscapes of North and South America and prefer open, dry areas with low vegetation such as grasslands, rangelands, agricultural areas, and deserts. Unlike most other owls, they are particularly active during the day, only sticking to their burrows during the worst of the midday heat. However, they prefer hunting from dusk till dawn, like other owls. So, heaven knows what they do in those active hours during the day. From pictures it seems like they just hang around in ridiculously cute groups outside their burrows. 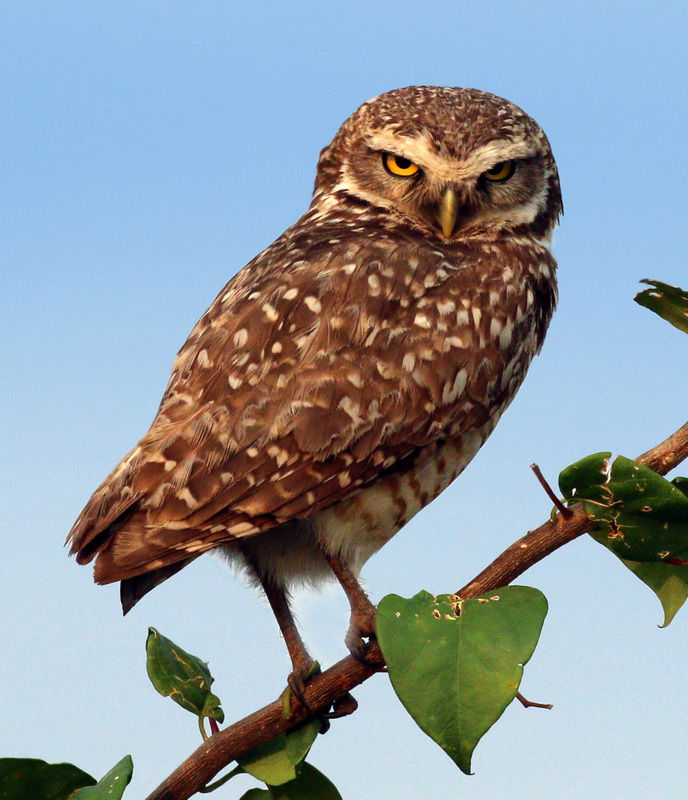 The Burrowing Owl is endangered in Canada, threatened in Mexico, and a species of special concern in Florida and most of the western USA. What actually brought my attention to these adorbs little creatures, was a picture I spotted on the Telegraph’s Daily Photo gallery sometime last week. So, if you’re wondering what to give me as a house warming gift (I’m moving into my new flat on Saturday), I have a lot of books and some tea cups. Think a Burrowing Owl will be perfect. Thanks. i also want one please. two is better. so oulik i want to cry at it! Ah man. They are such serious and cute little big things!! Ek het nie geweet jy het ‘n jou flat nie!! Cool man! Jy moet ‘n foto of twee op sit!! !